Aple ducked his head, embarrassed as the young boys wrinkled their noses in disgust and rushed to the other side of the road. He didn’t blame them. His hair was matted and he could barely stand his own stench. But, there was nothing that could be done. The orders were clear—if he bathed, he’d die. It had been five years since the fortune teller relayed this strange message from the spirits. Five years since water had touched his body. Five years since he interacted normally with his peers. Aple was isolated, depressed, and hopeless when TTI church planter, Andrew, met him. Andrew shared the Gospel with him, and assured him of the love and power of Jesus Christ. Aple surrendered his life to Jesus, and made the bold move to defy the fortune teller’s instructions and bathe. His family braced themselves for the worst. One day passed. Then two. Then three. Then weeks, and Aple was still healthy! Amazed, they surrendered their lives to Jesus. This family now serves the Lord, as they testify of His grace, love, and power. 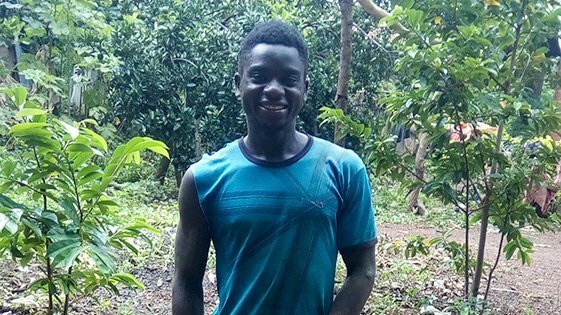 Aple defied the fortune teller’s instructions and surrendered his life to Jesus.